When I was diagnosed with type 1 diabetes at age 11, DoctorÂ StagamanÂ told my mom I probably wouldn’t live past 40 and definitely not past 50. He also told her there was a good chance I wouldn’t be able to have children. I don’t know what it is about me, but I really, really enjoy proving doctors wrong! I have had an intimate relationship with diabetes for nearly 43 years. I’ve seen diabetes care progress greatly over the years, but it’s just that,Â careÂ for diabetes so that I can stay relatively healthy and live longer. But there is still no cure. 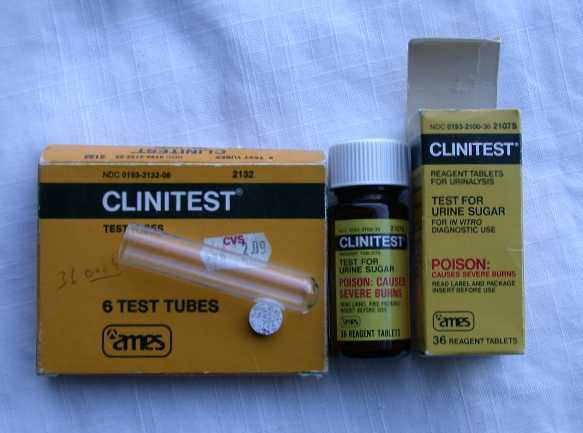 When I was first diagnosed, several times a day I used Clinitest tablets (which have nothing to do with an ex-president) that I would utilizeÂ to test myÂ urine. I felt like a chemist, using a dropper to put just the preciseÂ amount of urine into the test tube, Â placing the tablet into the tube, and then watching itÂ Â fizz and change colors. This was fun for about a week; then it became cumbersome, and it was a very inaccurate way of determining myÂ blood-glucose level. (Basically, testing your urine tells you what your blood-glucose levelÂ wasÂ several hours ago. )Â Today I can test my blood in 3 seconds and I know it’s accurate, which means I can control my diabetes better. While I appreciate better diabetes careÂ today, a cure would dramatically change my future and the future of my friends with diabetes. I don’t really want this disease or the complications. Today, I have someÂ retinopathyÂ in my eyes and a bit of nerve damage, but I can live with these things. Yet I’m seeing people I know and care about dealing with complications such as blindness, amputations, kidney disease, and even death. That’s why I’m doing everything I can, short of sin, to raise money to beat diabetes. This may sound odd to some, but I amÂ thankfulÂ for diabetes. Why? For one thing, I am very conscientious about my health, diet, and exercise. I’m nowÂ 53Â years old and I want to see myÂ fourÂ children–in your face, Dr.Â Stagaman!–get married and have kids of their own. I want to keep living healthy through all the highs and lows of life for as long as I can.